Something not everyone knows about me is that I suffer from high blood pressure. When I was pregnant with Scott, my blood pressure spiked. That’s been about 8 years ago. Even after pregnancy, it never really went back to normal. Well, in the last school year, I’ve been writing full time. What that means is that I come in from taking children to school – hopefully also after walking 4 miles, and sit down and start working. I hire someone to do my lawn. I don’t have a garden. I hire someone to clean my house. I like cake. All those things combined, I’ve gained WAY too much weight this school year. Like — I can’t wear my wedding rings right now because they’re too small for me – that’s how much weight I’ve gained. AND – before gaining the weight I’ve had on now, I’ve been upset at how much weight I’ve gained since Gregg has been home from Afghanistan. If I were really honest with you, I’d admit that I’ve put on about 40 pounds in the last 2 years. That’s a lot of weight for someone who was already unhappy with herself. I also have a heart condition, and a bad heart valve. As they monitor my heart, they’ve told me it’s growing in size because of the high blood pressure. Obviously, I need to get it under control. So, the other day, I had a BAD headache. Bad. I spent the day in bed. I also suffered the day with heart palpitations. The next day, my blood pressure was 160/110. That’s WAY.TOO.HIGH. I don’t know if the headache caused the blood pressure or if the blood pressure caused the headache. Either way, that’s too high. I am a big proponent of “let your food be your medicine and let your medicine be your food.” Rather than go on a pharmaceutical pill for the rest of my life, I’ve decided to attack this blood pressure thing with diet first and see what I am capable of controlling, Until this weight started going on, I’d done well to regulate it with lifestyle. While I have a “good” diet – with whole foods and real foods – I also have an affinity for cake and anything sweet. That combined with sitting on my hind end all day long in a stagnant profession has done nothing good for me. So, I have officially launched a “plant based food only/no refined sugars at all” diet. In an effort to improve the state of my overall cardiovascular health. No meat. No dairy. No processed food. No sugar. No cake. I’m drinking water, black coffee, and green tea. No more winter ice to prevent me from my daily 4-5 mile walk. It’s radical. But, I enjoy that diet and I won’t have a problem sticking to it. The hardest part will be all of the travel I have coming up over the next few months. It’s not easy being strictly vegan while traveling. If it doesn’t work, then I’ll take the pill. But I’d really rather not. 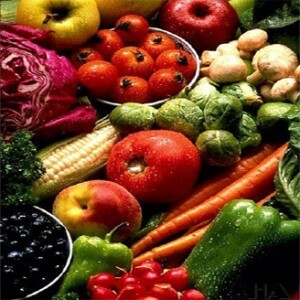 I believe that with discipline, most chronic ailments can be tackled with diet and lifestyle. I’m on day 5. I’ve lost, strangely, 6 pounds. My blood pressure, last night, was 135/90. While to some that may seem high, to me that’s a good “high normal.” Hopefully, as time goes on, I’ll see more progress. I know you’ve done this change of diet before, so I’ll not send you a ton of recipes, lol, but I did want to share my experience. Over Lent, I gave up all processed sugars. Didn’t do vegan too (eek, just a bit too much for me at once!) but I did notice that I was a lot less tired off of sugar. Since Easter, I’ve had sugar again and while there is a part of me that loves it (and I could totally see myself slipping back to where I was, unconcerned with sugar in all of its forms) I definitely recognize that I feel better (more energy, less cranky) off of sugar. So I am doing my best to claw back to a no-sugar diet. Best wishes Hallee! I am proud of you for already losing 6 pounds. I suffer from some of the same issues as you (too little exercise and the weight piling on). You are an inspiration and I am going to try harder too! Hi, I just found your blog and it’s beautiful. I was looking up food the tribe of Levi were required to eat/not eat because of their holy work. I’m now subscribing to your blog on my feedly! I also have high blood pressure, and on top of that severe migraine headaches – more than 15 per month. Check out http://www.foodbabe.com. Vani Hari has done extensive research on the benefits of clean eating and the detriments of highly processed foods and additives. She also travels extensively and has some great tips on maintaining a healthy diet while travelling – such as packing your own snacks and ordering off menu at restaurants. She is a wealth of information about foods that I never even heard of before. I hope this will be helpful to you. God Bless!